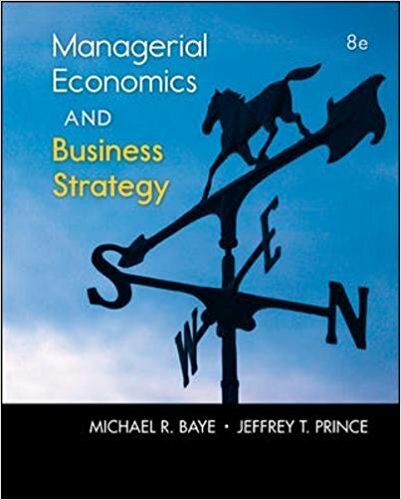 Baye and Prince’s bestselling Managerial Economics and Business Strategy provides a complete solution designed to help students use tools from intermediate microeconomics, game theory, and industrial organization to make sound managerial decisions. Now fully integrated within McGraw-Hill’s Connect platform, the 8th edition provides instructors with new ways to assess student performance in the managerial economics course. Students benefit from LearnSmart’s adaptive learning modules, designed reinforce core concepts in each chapter. A range of print and digital formats combined with frontier research, inclusion of modern topics, and balanced coverage of traditional and modern microeconomics produce a new offering that is easier to teach from and more dynamic and engaging for students.